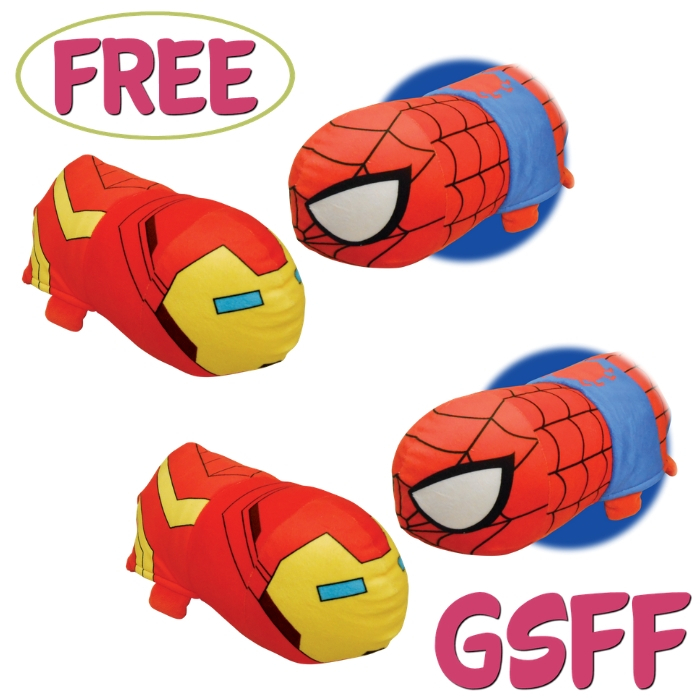 You are here: Home / FREEbies / FREE Iron Man To Spider-Man Flipazoo Plush From Walmart! Your little ones would surely be thrilled to have these Disney plush toys! Don’t miss your chance to get a FREE Iron Man To Spider-Man Flipazoo Plush from Walmart for new TopCashBack members! This 14″ Flipazoo Disney Marvel, Iron Man to Spider-Man FlipaZoo is an imagination-inspiring playtime product that is two times the fun! Each fun-stuffed FlipaZoo is a smiling, cuddly companion that offers two times the comfort at home or on-the-go! Made of the most huggable, high-quality materials, the adorable new FlipaZoo line features dozens of stand-out FlipaZoo characters that magically transform from one animal to another – and then easily flip back again! With FlipaZoo’s one-of-a-kind “easy flip” designs, little ones can simply hold their favorite two-sided FlipaZoo friend, “flip” its soft back, and instantly reveal a totally new FlipaZoo! FlipaZoo is the Toy that Flips for You! Just spend at least $9.97 or more on Iron Man To Spider-Man Flipazoo Plush from Walmart through this custom TopCashBack page and get $9.97 in cash back! Add at least 1 “Iron Man To Spider-Man Flipazoo Plush” to your cart for $9.97 or more and head to checkout. You must spend at least $9.97 to get this deal. This is a FREE in-store pick up offer. Pay $9.97 or more. That’s it! The $9.97 will post to your TopCashback account within 14 days, and the amount will become payable within 14 days. Cash back can be credited straight to your checking or PayPal account. Note: Transactions must contain at least $9.97 worth of purchases to ensure the $9.97 cash back is credited to TopCashback accounts. Transactions may initially track lower, but within the 14 days after purchase it will be uplifted and turn payable at the amount of $9.97. Transactions may take up to 7 days to appear in your TopCashback account. The deal is open until 11:59pm PST on 5/15/2019 or until supplies run out; whichever happens first; applicable for purchases made directly after clicking through TopCashback. Only one TopCashback account is permitted per member.